By selecting Cooke Fuels for your agricultural fuel oil supply, you can rest assured your agriculture fuel will be delivered to you within 48 hours of your order, even during the busiest periods. With the agriculture trade presently in decline with very small rates at ‘market’, we will try to keep the rate to you as low as possible, to have you as cost-effective as you deserve to be. Our farm fuel oils are accessible to you 365 days a year, whatever the weather, guaranteeing your farm is running to its full potential and never without fuel. Cooke Fuels can supply your farm with red diesel, gas oil or tractor diesel, accompanied by a varied range of additional agriculture oils. Not only will you be receiving the best service in the trade, but our rates are very reasonable. All agricultural machinery and automobiles can be run by the quality oils supplied by Cooke. Please give us a call on 01282 775431 Or fill in our quote form on this page. When Cooke Fuels began serving the local and agricultural communities back in 1845, it was always our intention to ensure that every customer, both large and small would be treated the same. No matter where they were, or what they needed, we’ve always ensured that for over 170 years that deliveries would get through. As the farming industry became more and more mechanised, there was an ever-increased reliance on Cooke Fuels to provide the fuels and lubricants to keep these new industrialised agricultural machines operating. As farms have passed through from generation to generation, we’re pleased to say that our reputation and commitment has been recognised as we continue to serve many of those same farming families through the generations, something we’re very proud of. Even in a modern age, our staff here at Cooke Fuels understand the importance of the agricultural community and our key partnerships that have helped us to grow over the past 170+ years into one of the UK’s leading fuel and lubricants suppliers to the farming community. The team here at Cooke Fuels appreciate the varied needs of our farming customers, and the important role they all play in our society. For that reason, we work hard to ensure that we supply both the farming and larger agricultural community with a varied range of farming fuels and faming lubricants when and where they need them, to help ensure the productivity of our great agriculture community. 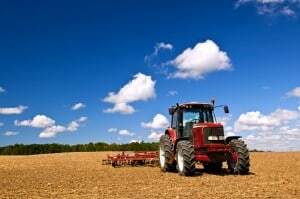 In order to keep your agricultural machinery and vehicles running smoothly to limit engine wear and tear, good quality lubricants should be used at all times. Not keeping up with the maintenance of engines and components can potentially be very expensive, both from the perspective of having a piece of machinery out of service, as well as the cost of repairs. Here at Cooke Fuels, we understand that fuels and lubricants go hand in hand, which is why we also supply a range of high quality lubricants and greases to prolong the life cycle of your expensive equipment. At Cooke Fuels we are very pleased of the outstanding service that we offer for our customers and would welcome the chance to show you why we’ve been a trusted source of fuels and lubricants to the agricultural community for most of our long and rich history, spanning over 170 years. We can have your fuel with you, 24 hours after placing your order. 92% of our customers choose this option. Our service doesn't stop once the office closes. We can deliver to you any day of the year, at any time. We have some of the longest credit terms in the industry (for commercial customers only) meaning you can pay for your fuel when and how you want.